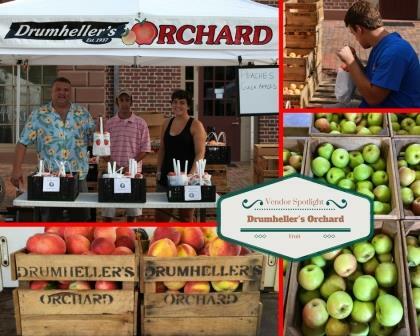 Drumheller’s Orchard is a 5th generation family farm located in beautiful Nelson County, Virginia. Drumheller’s Orchard was established in 1937, when Everette and Eva Drumheller purchased the property; once an unattended farm with abandoned fruit trees. The land was then cultivated and new orchards were started which included peach and apple trees. Darrell Drumheller started working the farm with his parents in 1957, playing major role in the orchard’s history with the design of a 110 gallon apple butter kettle with an electric stirrer. Darrell’s three sons and daughter worked on the farm at different times. Continuously planting more varieties of peaches and apples each year has allowed the Drumhellers to expand their harvest and distribution seasons. A new sales area and kitchen has been added where the pies, cakes, jams, jellies, ice cream, cobblers and more are made.